Today I'm using a cute digi from Bugaboo Stamps to make this card. 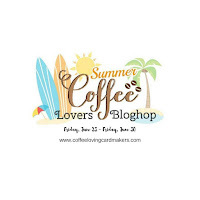 This will be the third card of mine for the Summer Coffee Lovers Blog Hop and it's always fun seeing what everyone makes !! I changed the word "children" on this image to "friend". But how true is that sentiment,especially first thing in the morning. My shift at work starts at 0600 and getting up at 0430 is brutal. So, my morning coffee is of utmost importance !! Just ask my co-workers ! I printed the Bugaboo digi - Frame It JJ Coffee - and colored it with my Distress Markers. The image was adhered to a fun geometric-patterned card base.Isn't that fun ?!?!?! 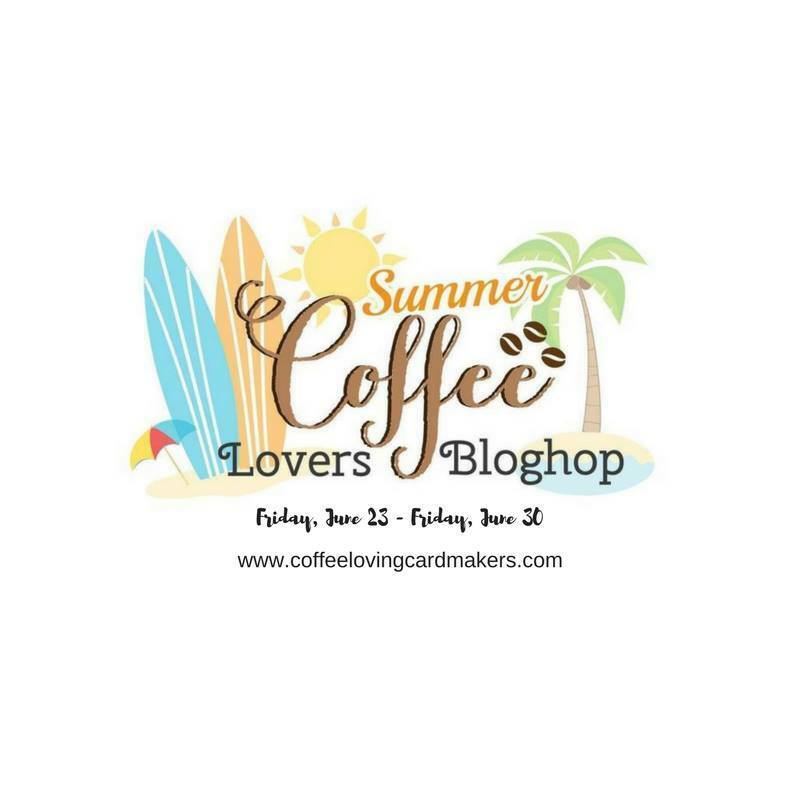 A piece of Doodlebug "Coffee Break" washi was placed on a cute wooden coffee cup die cut and then placed on the lower R corner of the card. There are almost 500 projects linked up to the Hop already and it's not over until Friday, June 30. Don't forget to leave a comment here for a chance at some blog candy at the end of the Hop.. And thank you once again for visiting Meticulosity and fueling my creative spirit !! Fun card! Love the digi and the wooden coffee cup embellishment! Debra, I love this design. What a great image and sentiment. Awesome sentiment, love the gorgeous image! Gorgeous colour choice! Love that sentiment. Fun card Debra! LOL!! I love this funny coffee card!! Cute--I like the background and how you changed the sentiment. needed my Pepsi to get me going. Love the little wooden cup. Great card Deb! Love, love, love that sentiment! So cute, Deb! Love the quircky chic! Great card and a fun sentiment! Okay, this made me laugh....and it's so true! LOL...what a fun card and cute little coffee cup! LOVE your fun card Debra!